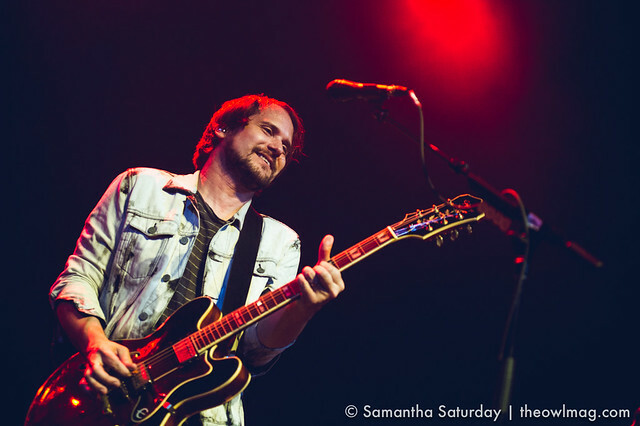 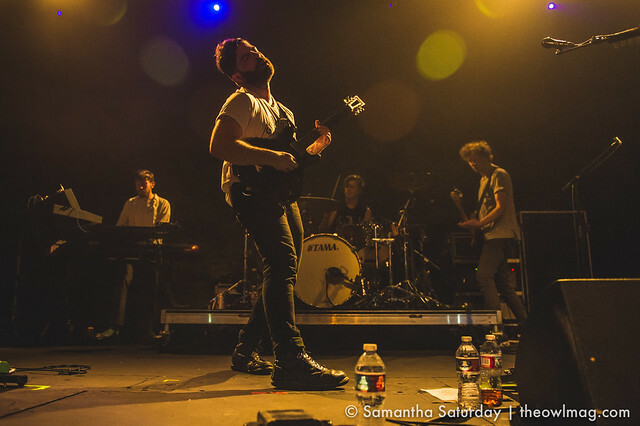 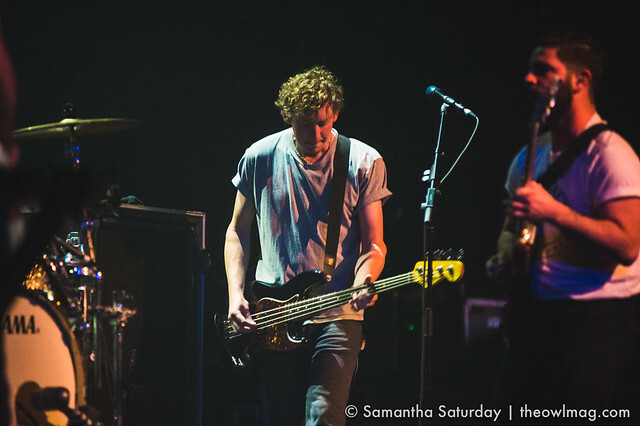 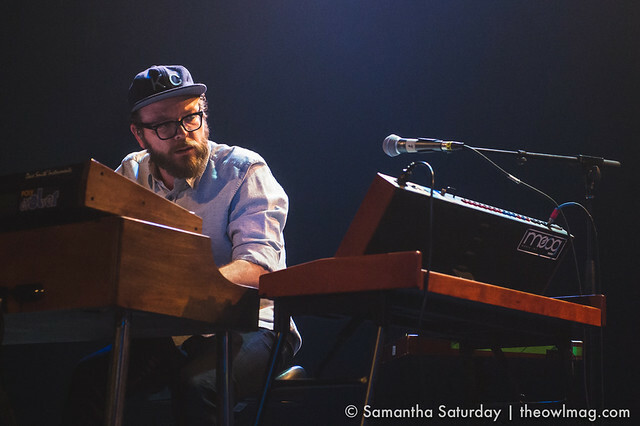 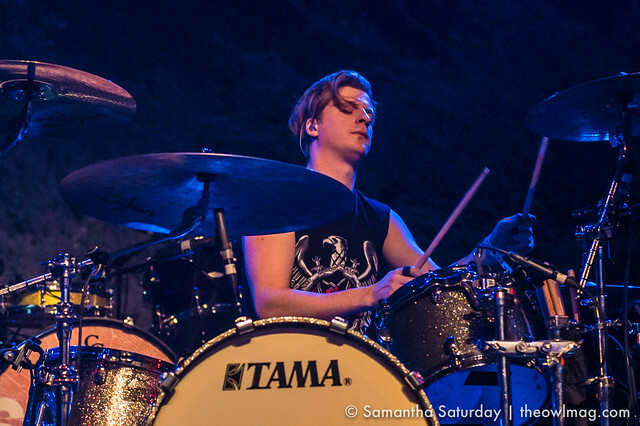 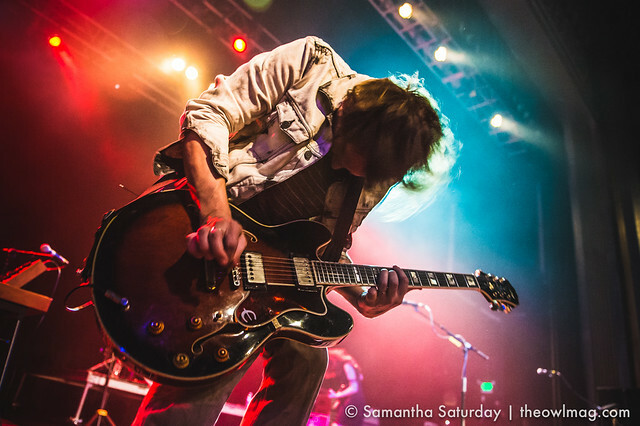 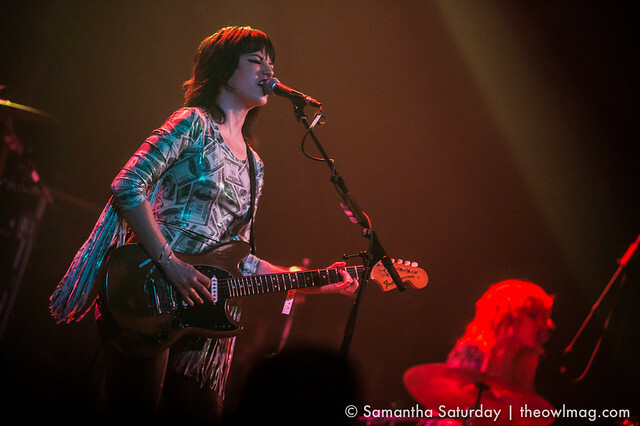 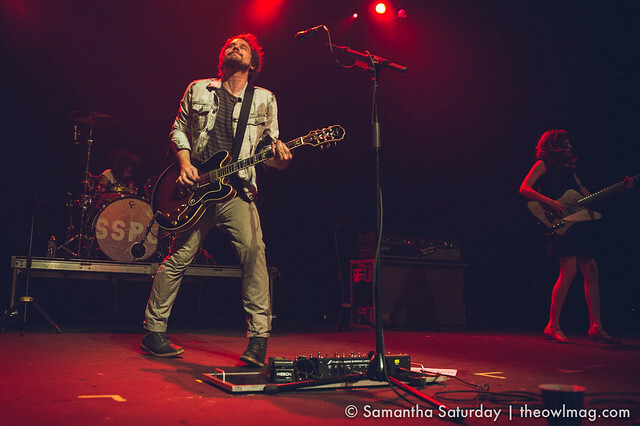 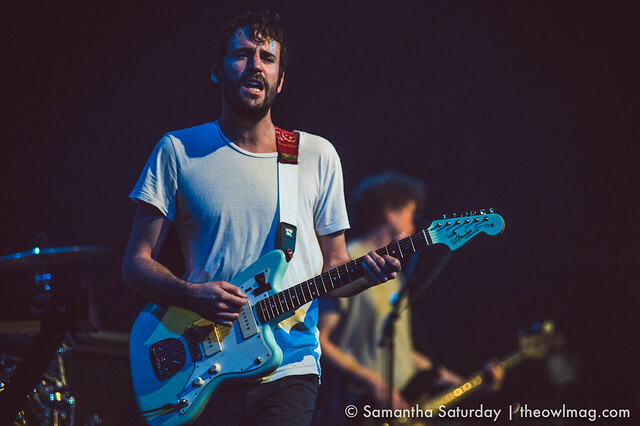 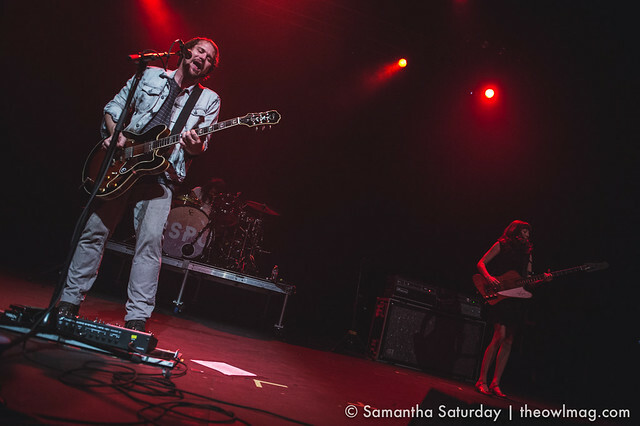 Warming up for appearances in the desert, Silversun Pickups and Foals stopped by the Fox Theater in Pomona, with support from duo femme-rockers Deap Vally. 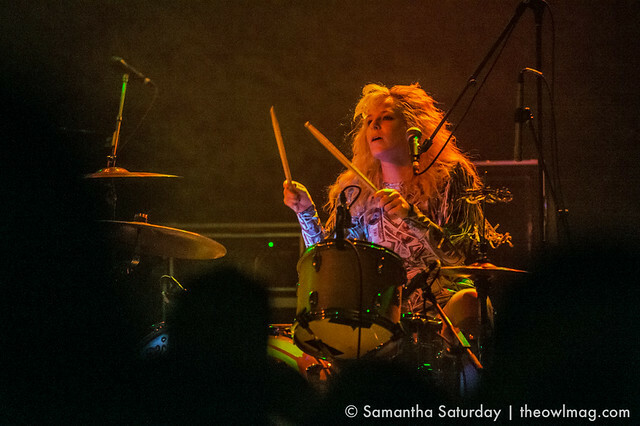 Unfortunately for fans wanting to catch Deap Vally, doors opened only 15 minutes before their set, with the line wrapping around three sides of the building and remaining that way until just after Foals’ set began. 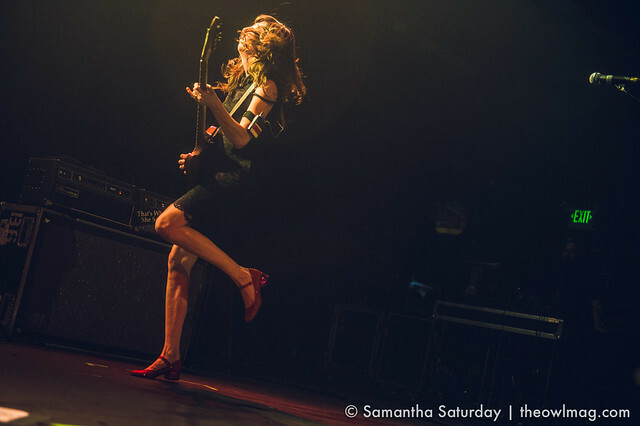 Still, DV rocked with full force, scoring some extra time to tack on two additional songs. 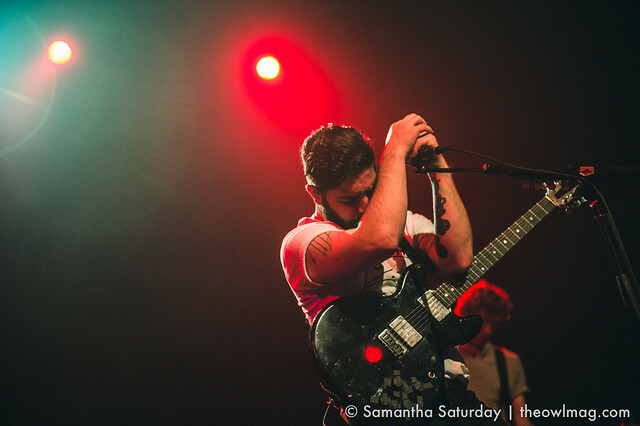 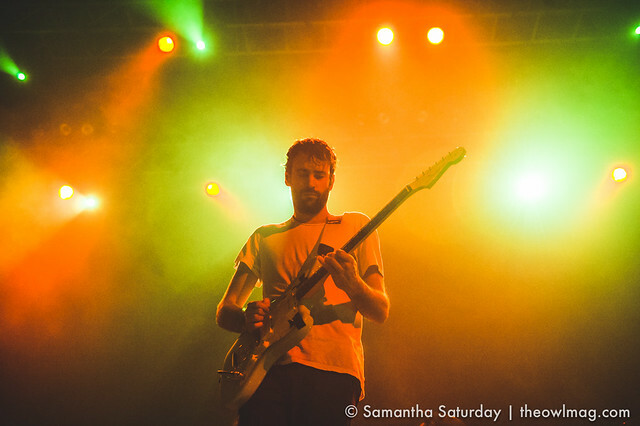 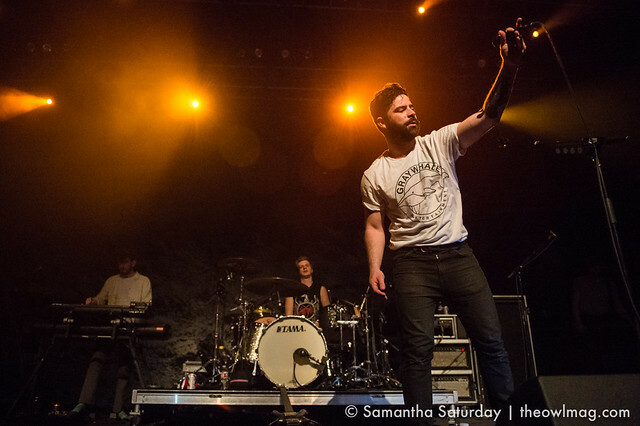 Foals are still going strong on the tail of their latest release What Went Down. 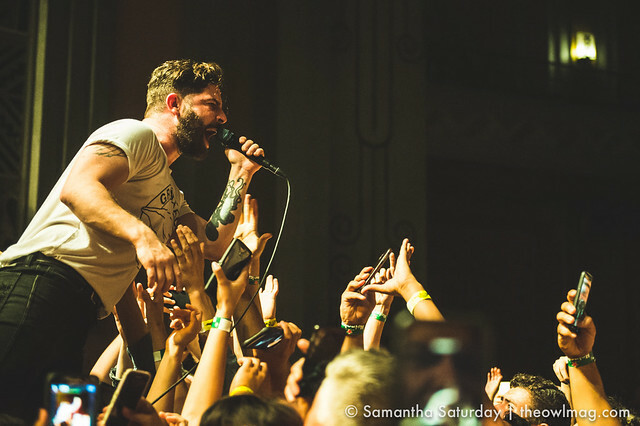 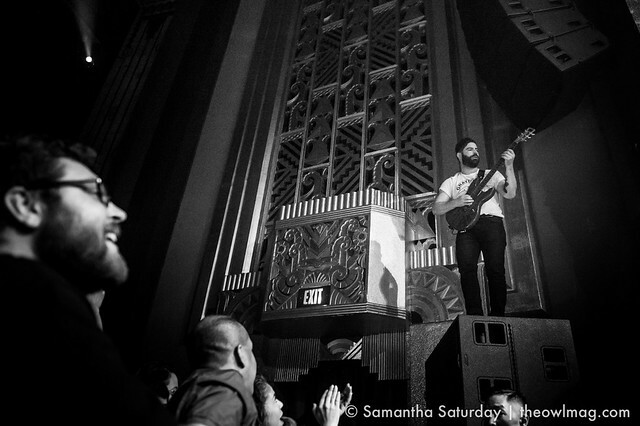 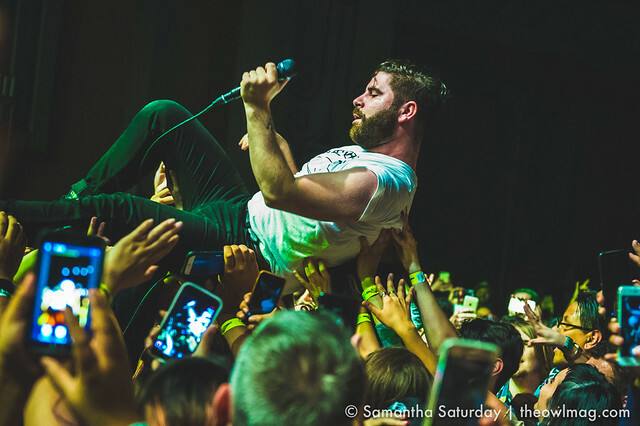 Fans were rabid and full of energy; the crowd closest to the stage churned in waves of excitement as frontman Yannis Philippakis jumped into the crowd and climbed atop speaker stacks. 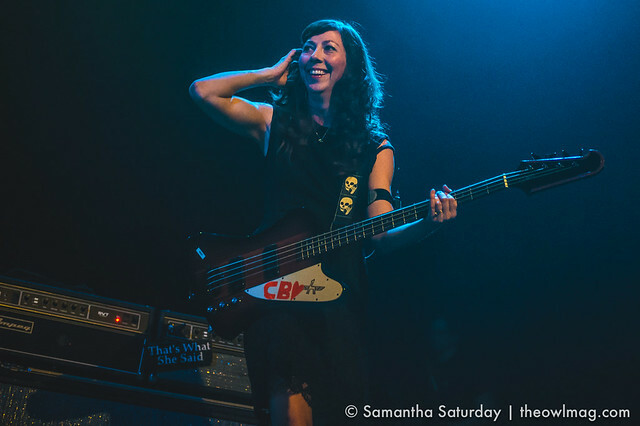 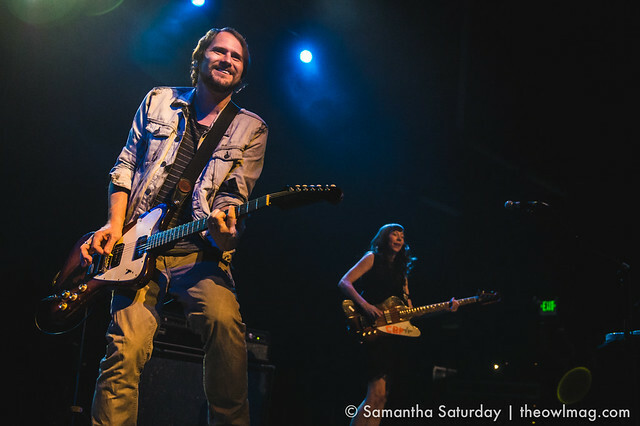 As always, Silversun Pickups remained exuberant and energetic, with air of gratitude for all the fans that have stuck with them for so long.